The “Most Anticipated” smartphone from Tecno Mobile, the Camon i Sky 2 is set to be launched in Pakistan on 26th January 2018. Speculations point towards it being the first budget smartphone with AI triple cameras with enough overall power in both cameras and its display to outperform any competitors under Rs. 18k. “TECNO MOBILE prides itself on recognizing the needs of the market and filling in those gaps by making the latest advancements in technology available for all. In this age of the millennials, those needs are affordable but brilliant camera phones and the Camon i Sky will be TECNO MOBILE’s ingenious response to those needs,” said General Manager of Tecno Mobile for Pakistan, Stephen Ha. Judging by how previous Camon series smartphones have fared, it is obvious to assume the Camon i Sky 2 will pack a similar punch. 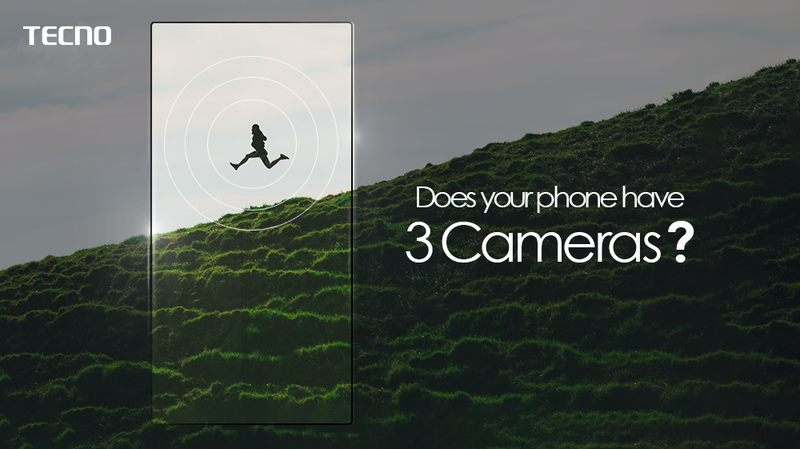 The smartphone is expected to be a triple camera smartphone with 13MP cameras for both the front and back cameras along with an unconventional but innovative secondary CAM on the Dual Camera setup. Housing a 13MP camera in a budget phone is already an unexpectedly powerful camera for a budget phone, but then going a step further to offer a 13MP dual camera setup as well at such a price range will truly be a first in the smartphone industry. However, it seems that’s not all the Camon i Sky 2 will have to offer! AI integrations are usually considered exclusive to pricier high-end phones, but the Camon i Sky 2 expected to flip all that on its head as well. The smartphone is expected to feature the most AI enhancements for better picture quality and beauty solutions than ever before in any smartphone in this price range. Not only would the Camon i Sky 2 then be the first budget phone will triple cameras but also the first AI budget phone to date! This is expected to include an intelligent AI Dual Selfie Flash as well. Besides this, other sources imply that the Camon i Sky 2 will boast a large, full view HD+ Infinity display to offer a beautiful, crisp viewing display with the maximization of the space provided. Expected to be just as capable at capturing beauty as it will be at displaying it, fans of the Camon series eagerly await its launch date to see what new advancements TECNO MOBILE will bring to the market come 26th January 2019. Jazz TV App - Unlock your Door to Entertainment!